Thank you, New York City Department of Education, for selecting More-igami for the 2019 NYC Reads 365 reading list! NYC Reads 365 is a citywide program that encourages kids to read by providing them lists of “interesting high quality books for independent reading.” More-igami was one of 20 titles chosen for this year’s kindergarten reading list. 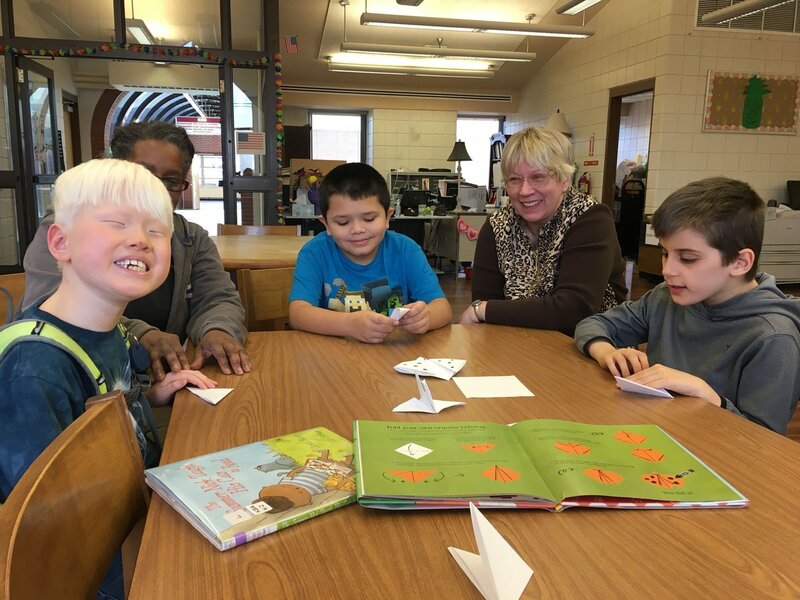 I’ve just found out that librarians in Pennsylvania and Kentucky have been sharing More-igami with their young readers all school year long as part of their states’ children’s book awards programs. More-igami is a 2017-18 nominee for the Pennsylvania Young Reader’s Choice Award and the Kentucky Bluegrass Award. It’s also been named to the 2018-19 list for the Arkansas Diamond Primary Book Award. In addition, votes are still coming in for the Washington Children’s Choice Picture Book Award. All of these awards are decided by children, who spend the year reading the nominated books — or having the books read aloud to them — then voting for their favorite. At the risk of being cliché, no matter what book comes out on top, it is a joy to be nominated, and to know that young readers are spending time with More-igami.